We're two days away from jolly man's arrival and while we're finishing up some last-minute shopping (you can view our shopping guides here) and finalizing the details of our very own holiday tables. 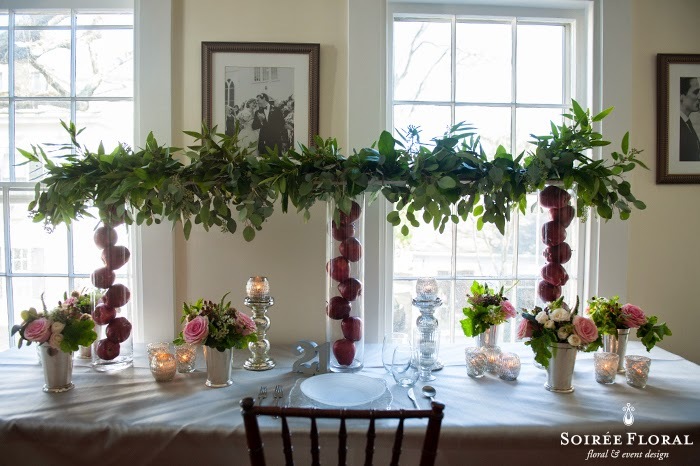 If you're in the same boat, here's our final look in our four part series for holiday tablescapes! 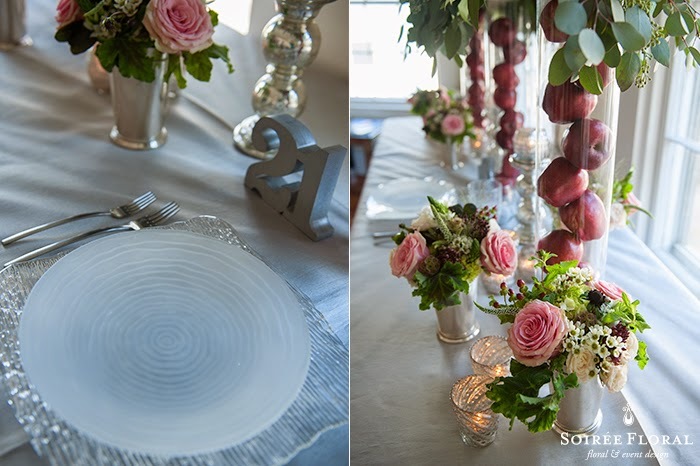 Adding blooms to the "icy" look of table three and as you can see it softens up the look and bring a touch of romance to the tablescape with whites and greens with a touch of pink. Which of the four looks is your favorite? See below for our Polyvore board and Make It Your Own! For this Make It Your Own style board we added in fun accessories to inspire some cleverness in your table design. 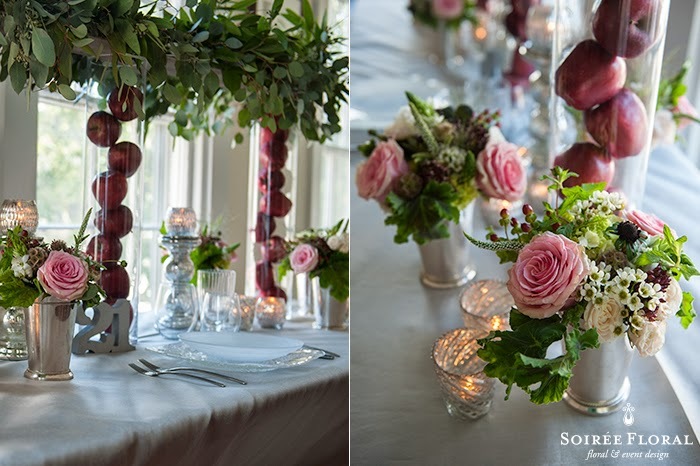 The silver deer would be so whimsical tucked in-between votives and arrangements and the silver garlands would be great to weave through the tablescape as well.